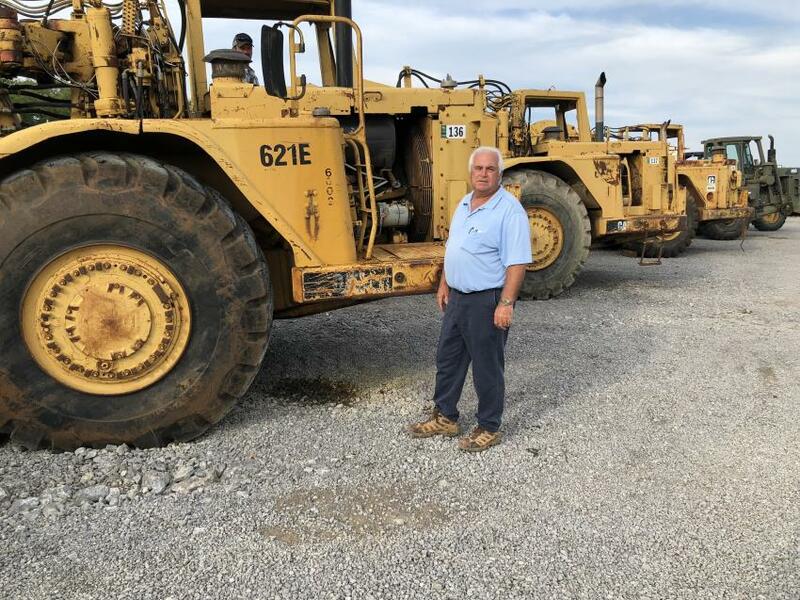 On Sept. 8, 2018, Ritchason Auctioneers held another successful auction at its permanent auction facility in Lebanon, Tenn. 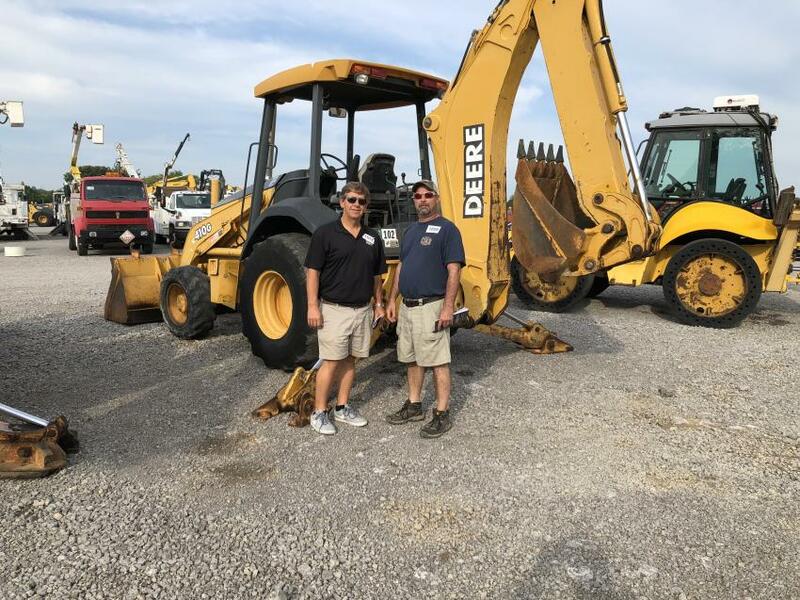 The sale included excavators, backhoes, trucks, wheel loaders, skid steers, dump trucks and many more items. Certified appraisers with more than 35 years of marketing, retail and auction experience, Ritchason Auctioneers Inc. was founded in 1989 in Nashville, Tenn., and has since found a home 30 miles east of Nashville in Lebanon, Tenn. Over the years, the company has met the challenges of changing industry standards and assisted many customers with equipment needs. 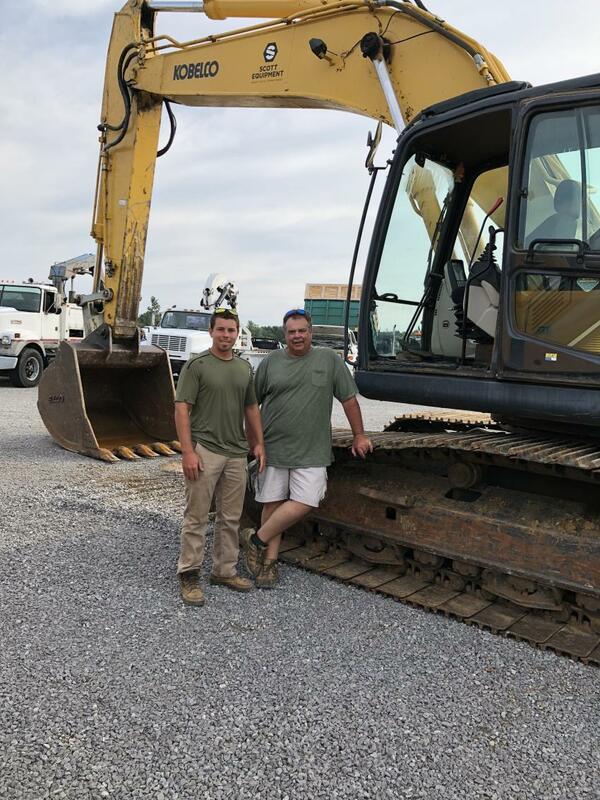 It has successfully served the construction marketplace and continues to assist its customers to buy, sell, upgrade and trade heavy equipment. 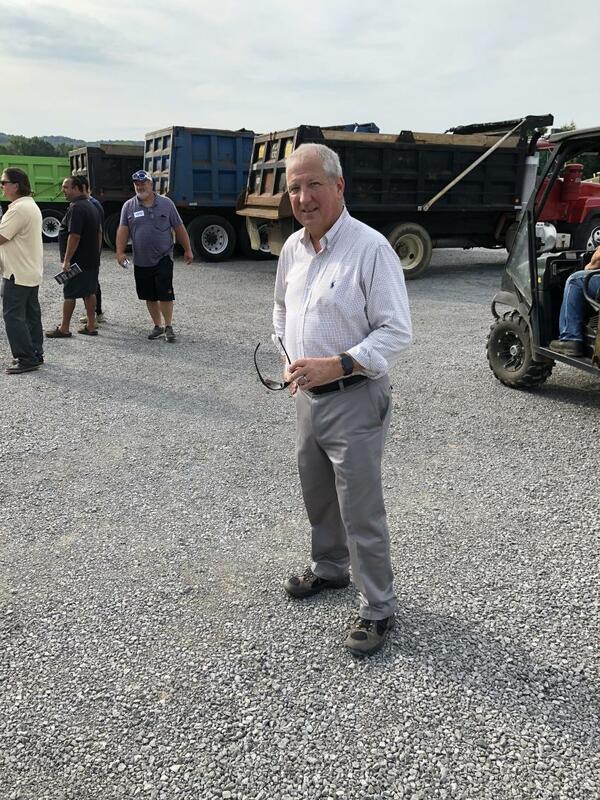 Ted Hunsaker of Keck Enterprises, Knoxville, Tenn., looked over this Cat 621E scraper and liked what he saw in the machine. 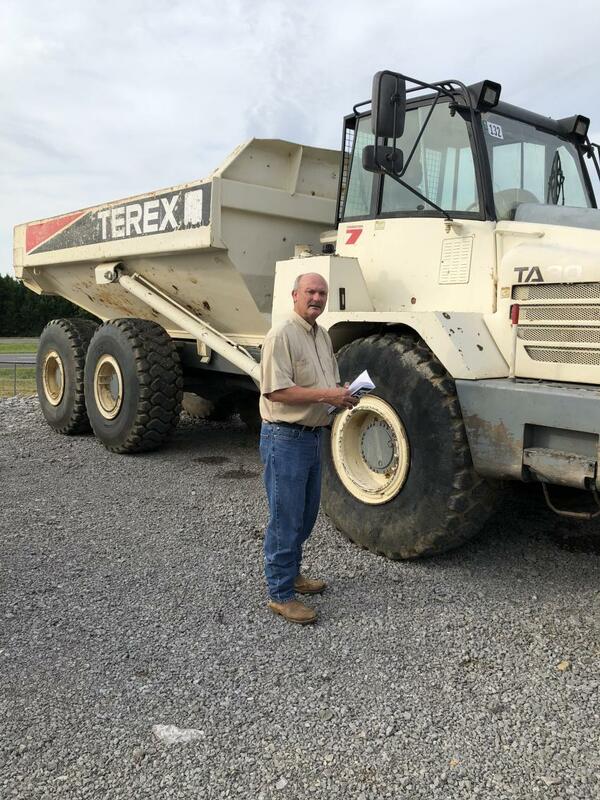 Mitchell Johnson of Johnson Construction Company, Savannah, Tenn., needed a few off-road trucks for an upcoming project. 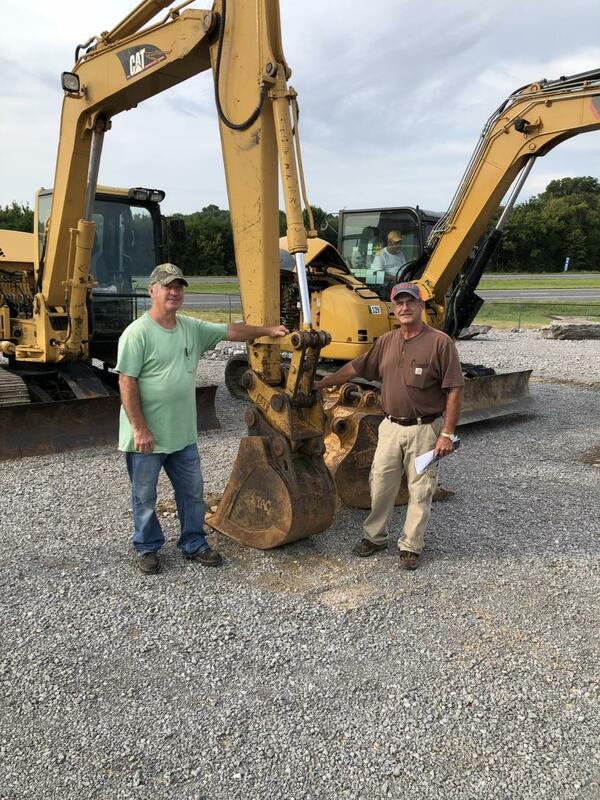 James Darell (L) of Hesson Backhoe in Pleasant Shade, Tenn., and Larry Clark of Clark Construction in Lafayette, Tenn., were checking out the equipment up for bid. 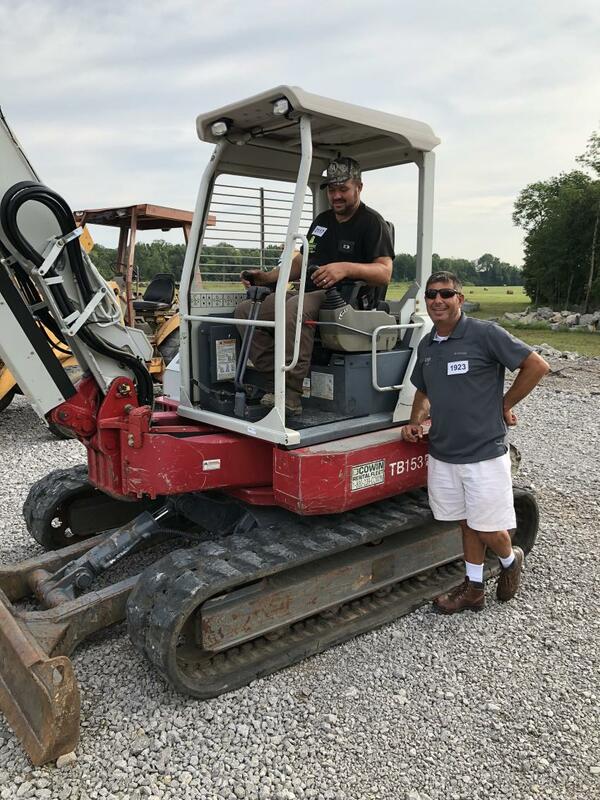 Larry Tabor (L) and Joe Asher of Kentucky Stream Restoration in London, Ky., tried out several mini-excavators and planned to bid on this Takeuchi machine. 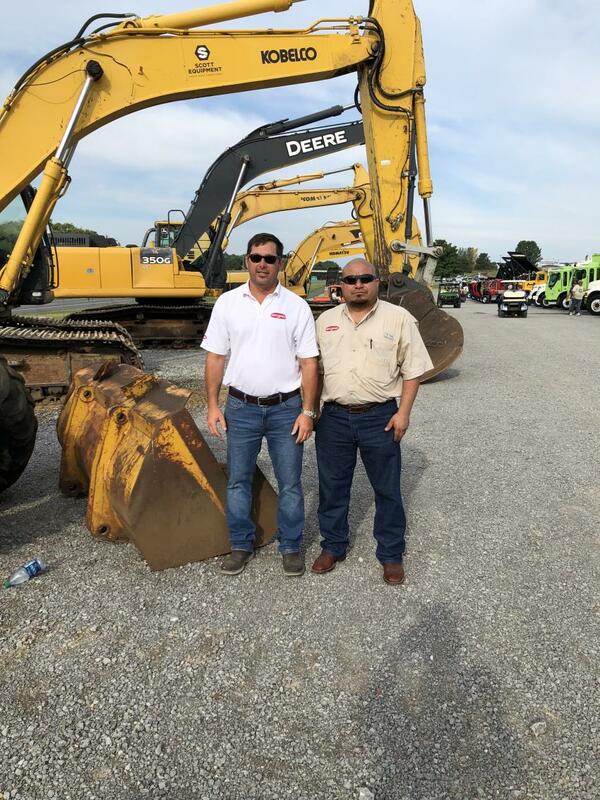 David Moore (L) and Jeremy Bradley, both of Construction Equipment Sales and Rental / Yellow Iron Wholesalers Inc. in Jackson, Tenn.
Jason Snider (L) and Sergio Morales, both of SniderEquipment.com in Jackson, Tenn., looked over several machines and found a couple they were interested in bidding on. Dana Shockley, of Fountain Leasing’s Knoxville, Tenn., office, specializes in dump truck financing. 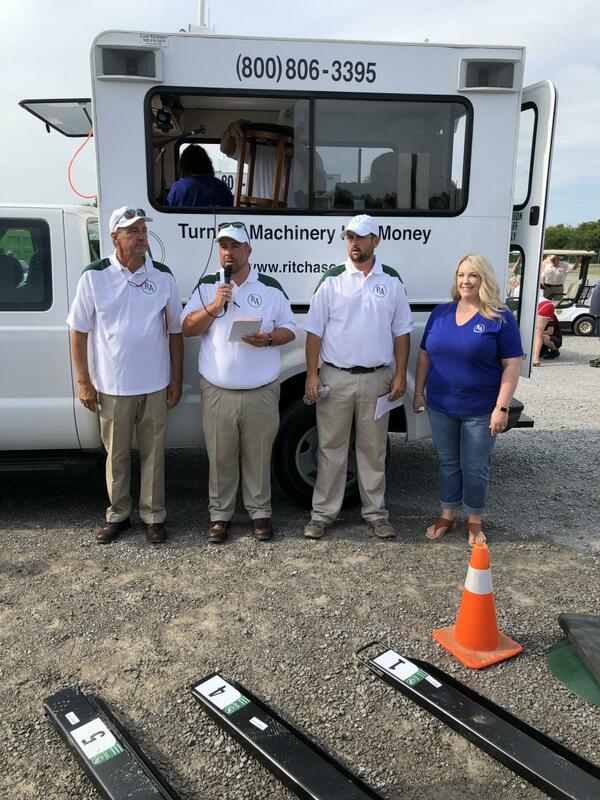 (L-R): Welcoming the guests and bidders are Dewain Ritchason, Daniel Pruitt, Chad Boyce and Nicole Pruitt.